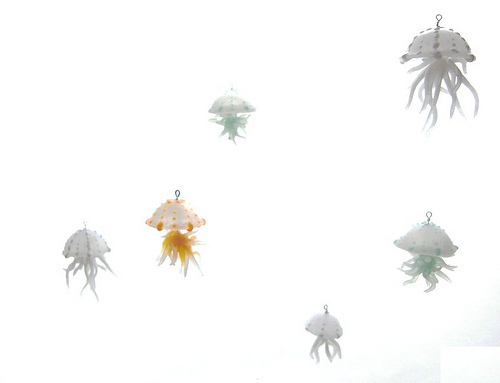 This project isn’t for the faint of clay-heart but it makes these great, ethereal jellyfish. The tutorial appears step by step on Agnes’ Flickr photostream beginning here and proceeding a series of photos in the stream. You have the chance to learn complex construction and try viva decor clay. Oops! I put the link up from my tablet and the link pasted… oddly. Should work now! Sorry about that.